I know it's hard to believe that it's not all knitting, all the time around here. There is actually quite a bit of machine and hand sewing going on as well. I'm even considering a pretty serious upgrade to my sewing machine which is about 15 years old but is in good condition and is quite serviceable. Upgrading is really not my specialty. I usually leave that to my Sweet Man who is famous for it. I'm the make-do-with-what-I-have-until-it-doesn't-work-anymore-because-I-can't-justify-replacing-something-that-is-perfectly-fine girl. Methinks that is about to change. But I digress. I've been making a point to carve out time for embroidery lately and thought I'd share some of my favorite tools and supplies. There is something very soothing for me, about creating something with fiber and my hands. I sit with my hoop and floss or my needles and yarn and my blood pressure immediately lowers. Add a cat in my lap, a cup of tea and a favorite movie or podcast and I am practically asleep. I have mentioned before how much I love Creative Bug. For $5 a month you have access to all kinds of classes. I put my membership on hold for a little while but was able to save a certain number of classes including Rebecca Ringquist's embroidery class. I've been embroidering since I was a wee girl but there is still plenty to learn. For instance, I was doing the backstitch wrong. What? It's possible that it's too late to change that but I'm enjoying learning all the stitches I didn't even know existed. These are some of my current favorite hand stitching books although I have several more that I really love. Flora and Fauna are actually magazines that have a selection of crafty projects. You may still be able to get these back issues here. Samplers by Pam Garrison, Charlotte Lyons and Rebecca Ringquist. Frixion pens which disappear with the swipe of your iron. A pretty place to store all of your supplies. This felt house is from Wisteria but was purchased many years ago and is likely no longer available. By the way, no part of this post is sponsored. I just thought you might like to see what I enjoy using. There is something about trying a new craft or technique that just fires up my creativity. I have so many ideas that I can't wait to try. Of course to find the time I will need to put the knitting needles down more often. I'm not sure how realistic that is. I've always loved your felt house! It's so very, very you. Love all the things about embroidery. Lovely things, the stiches, the hoop and all those books you have, all looks awesome! So pretty! I remember embroidering days of the week tea towels when I was young. I think I still have a couple of unfinished embroidery projects stuffed in a closet somewhere. With the sewing I'm doing lately, I'm really enjoying it and remembering my Mom teaching me -- sweet memories to be sure! You're quite amazing and inspiring! 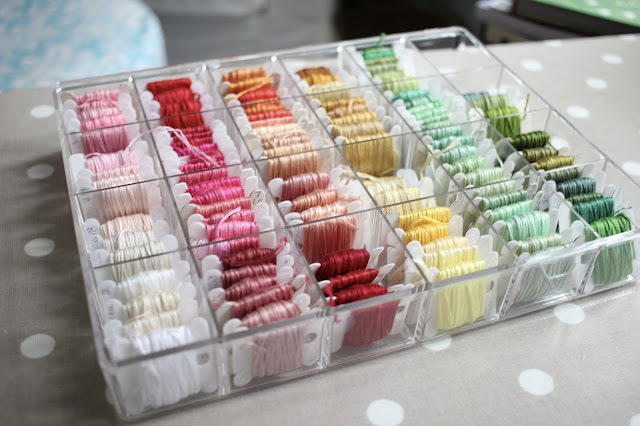 What a lovely post Jean, thank you so much for sharing my needle minder! 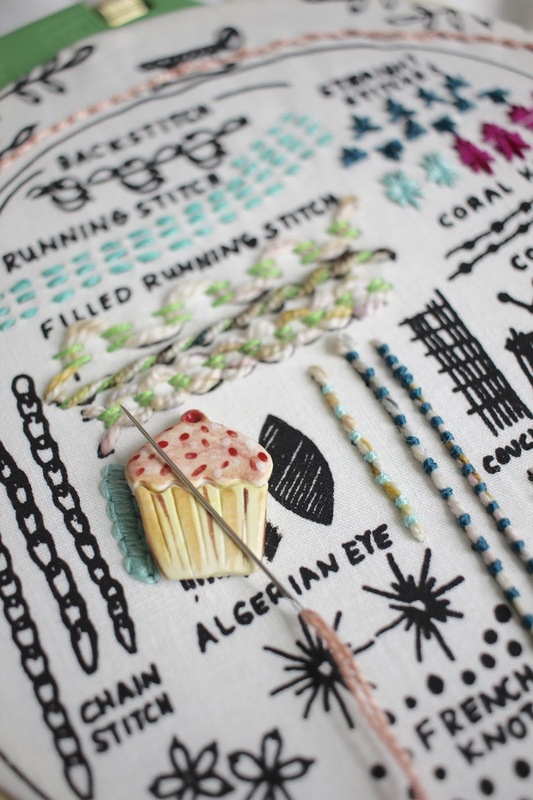 Your work is so pretty and it inspires me to dust off my embroidery supplies and make something! Eye candy! Love it all - I have a crewel kit from Purl Soho my husband bought me several years ago and you are inspiring me to pull it out and get to it! I used to love needlework when I was young - lovely Erica Wilson kits of kittens and owls ... Thanks for your beautiful blog and postings! I think embroidery is the only talent I have when it comes to anything near sewing, Jen. I've made a ton of samplers and I particularly love some little pillows and Christmas ornaments that I cross stitched, stuffed and sewn closed. Tooting my own horn here but I am really a klutz creatively!! I could use a refresher course on the different stitches and maybe I need to get started on those little mittens for my grandlittles if I want them finished by Christmas! Sorry I've been absent in visiting...trying!! This makes me want to get out some embroidery. We will have a long drive in a few weeks when we get the "I'm in labor" call from our daughter. I think I need to put together a kit to sew on the 6 hour drive. 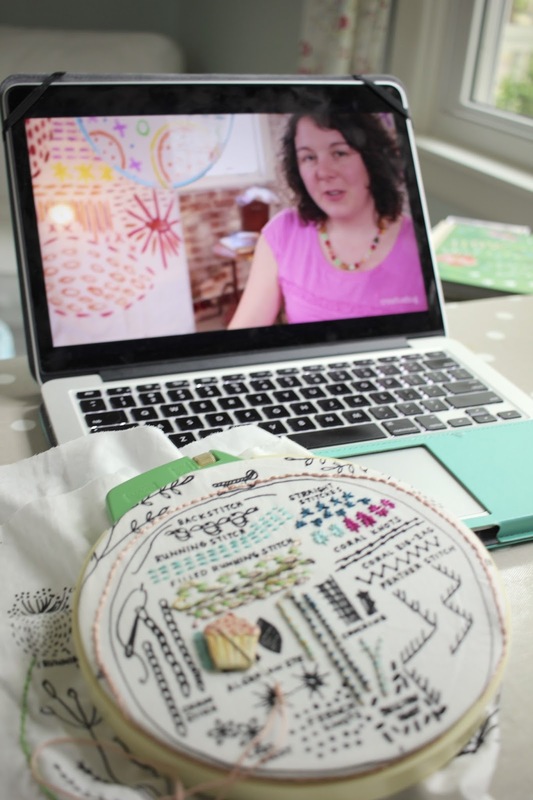 Lovely embroidery and lovely pictures of your crafty things Jen. I have a very similar box of threads here too! Enjoy your stitching. You have inspired me to take up embroidery. I adore the needle minders, too. That Etsy shop is a great find. Thank you!